Mardi Botha is our new Notebook® licence holder in the beautiful Western Cape town of Robertson, where semigrants and retirees from other parts of SA are currently boosting the demand for residential property. Situated the Breede River valley – also known as the “Valley of Wine and Roses” - Roberston is just 160km from Cape Town and is an increasingly popular choice of location among semigrants from the city and elsewhere because it offers a selection of English and Afrikaans-medium schools and ample shopping and sporting facilities combined with a quiet rural lifestyle and spectacular mountain views. It is also a perennial favourite among retirees because of its mild climate, well-developed infrastructure, good medical facilities including a hospital, and value-for-money real estate, says Mardi. 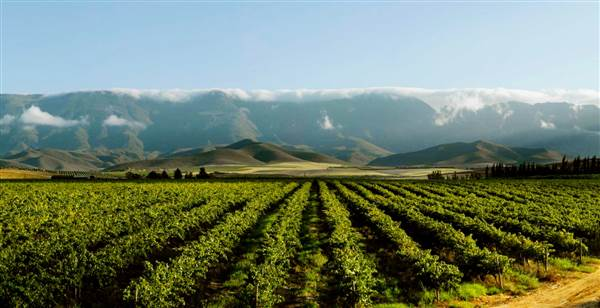 "Tourists and visitors mostly love Robertson for its locally produced wines, cellars and festivals such as the Whacky Wine Weekend and Wine on the River, but other local attractions include a wide range of watersports, adventure activities and nature trails, tree-lined streets and historic homes set in spacious gardens. “For golf enthusiasts, there is also an excellent 18-hole course in the Silwerstrand Golf and River Estate, where property prices compare very favourably to other sought-after lifestyle developments around the country,” she notes. Stands at Silwerstrand are currently available at prices from R275 000, while the advertised prices of new and resale homes in the estate range from around R1,9m to R2,9m. According to property data company Lightstone, the annual number of property transfers in Robertson has risen steadily from 51 in 2012 to 86 in the past 12 months, and the average price of freehold properties has also risen, from around R800 000 three years ago to R1,075m currently. The statistics also show that 53% of property owners in Robertson have lived there for 11 years and more, and that 72% of them are over the age of 50. However, almost half (48%) of all recent home sales in the town were to people under 50, indicating rising demand among a younger generation of families.